60.3a. Closely similar to 60.3. Courtesy Brighton Museum. Perhaps an actor in the role of Mezettin or Scaramouche. H: 4.5". (c) Holloway Auctions. 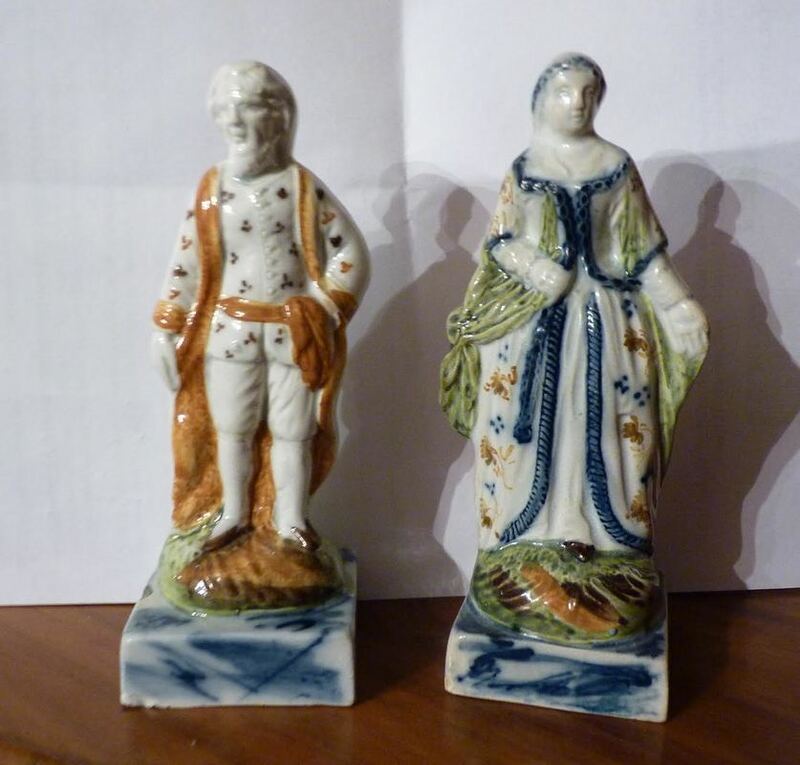 Perhaps theatrical figures and with bases suggestive of Jacob Marsh. See the vendor with the same base and with Jacob Marsh's mark in chapter 30 on this site. 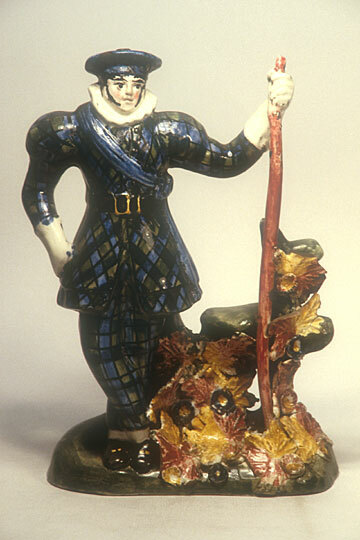 The same character as the male figure to the left. From the pose I surmise that this figure portrays an actor. You can also see him in 199.12 with his clothing painted as a kilt. Courtesy the William Herbert and Nancy Hunt Collection. ​An actor in the role of Richard III. Impressed ​H ​BROWN. 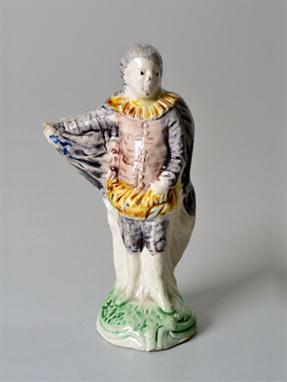 Henry Brown & Co of High Street, Lane End​,​ ​is listed in the trade directory for 1828/9 ​as a manufacturer of earthenware toys (figures)​, but​ ​this figure is decorated in a palette associated with the Scottish pot banks​. Height about 6". The figure is after a theatrical engraving, probably of Mr. Kean in the role of Richard III. Mr. Kean in the Character of Richard III. Courtesy the Victoria and Albert Museum, London. 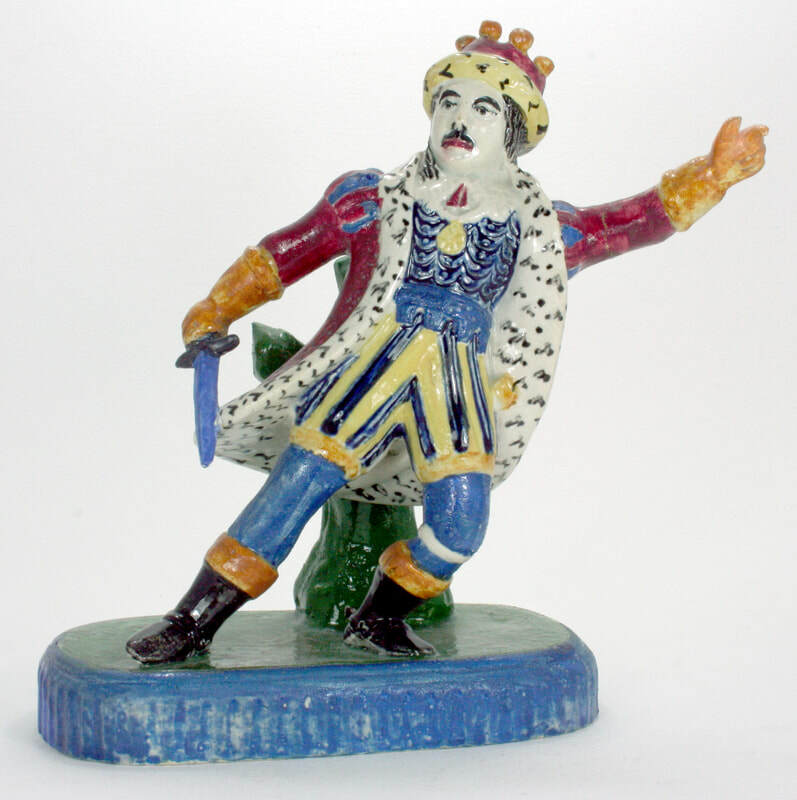 Like the figure of Richard III above, this figure of King John is of Scottish origin. 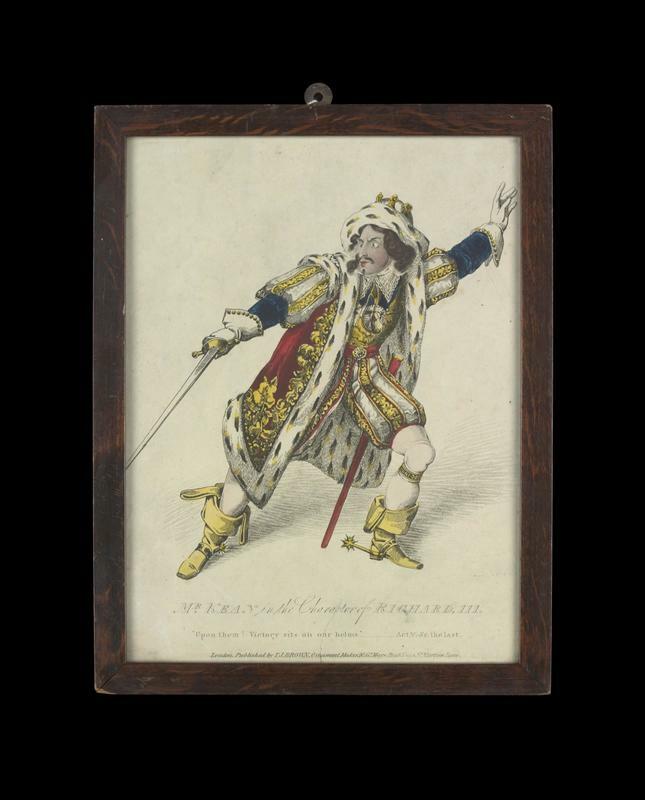 It was probably inspired by a theatrical engraving of Mr. Kemble in his 1814 debut in Shakespeare's "King John." The play makes no mention of the Magna Carta, but the potter took the liberty of correcting this oversight and added a scroll to the extended hand. Height about 6 inches. Courtesy Commemorative Ceramics UK. 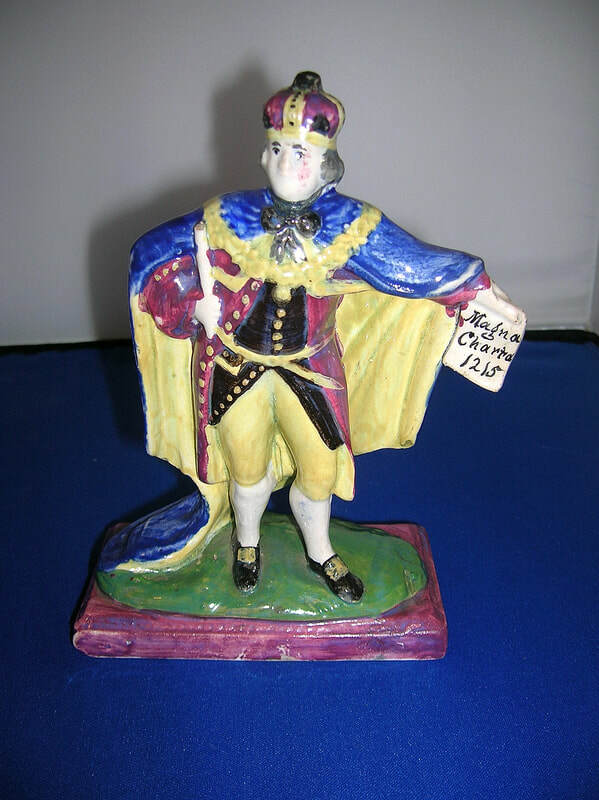 Mr. Kemble as King John, 1817. Courtesy the Victoria and Albert Museum, London.